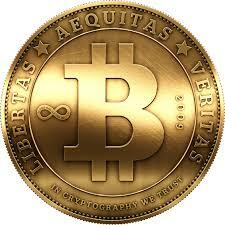 "This is ranked in the top five of best encryption software on the market. 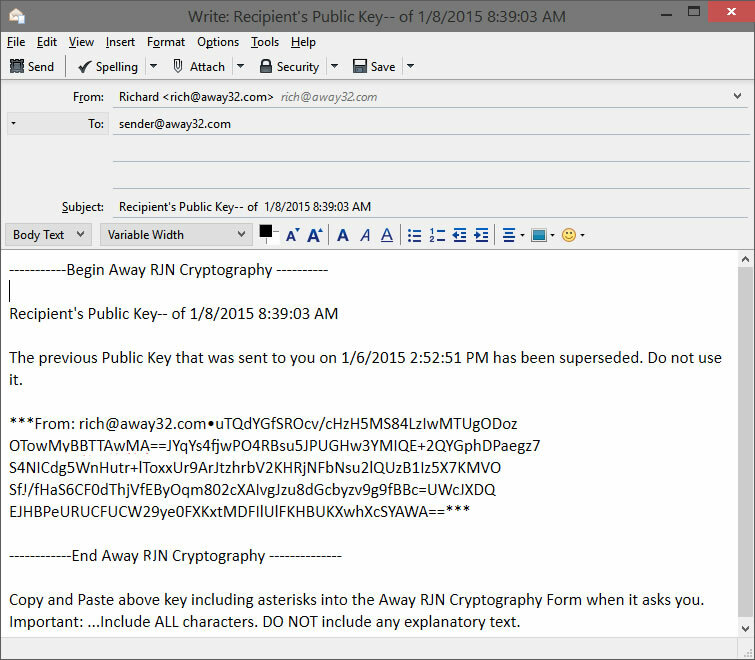 When it comes to email encryption software, Away RJN Cryptography is ranked #1." First you need to send the Sender your Public Key. You are the Recipient. 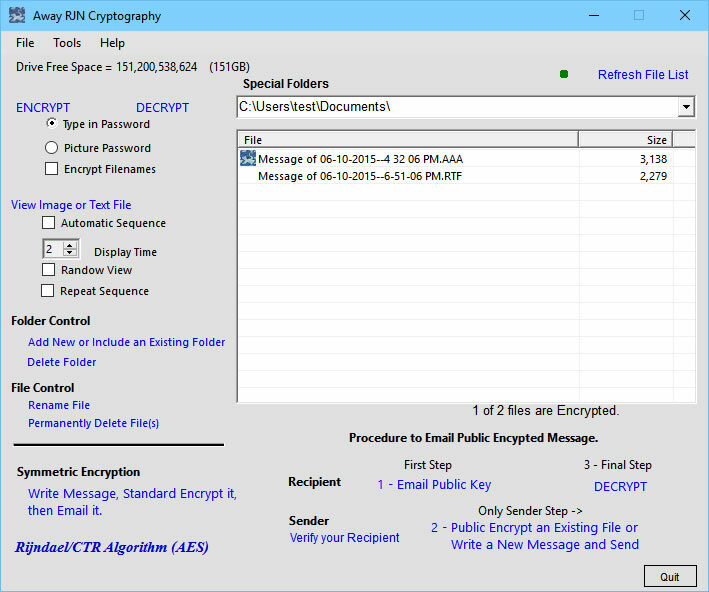 Open Away RJN Cryptography and click on 1 - Email Public Key. If this is your first communication with this Sender, an x509 Self Signed Certificate will automatically be sent first. An email carrying that will be generated. It took longer to describe it then to do it. 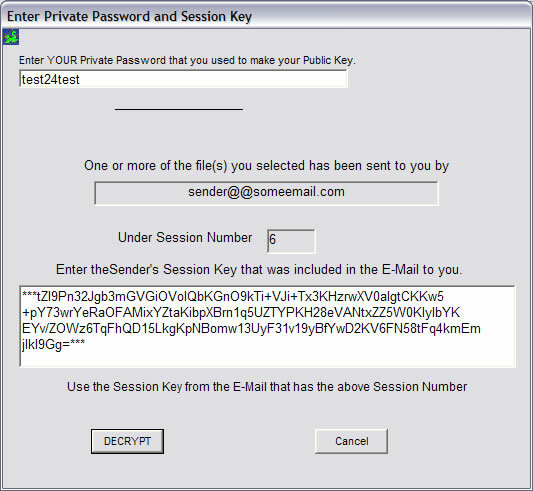 When you receive the email with your Public Key Encrypted file attached, just Save it to one of your Special Folders and Decrypt it using the Session Key that the Sender has sent you. Notice how the red/blue icon shows the file as Publically Encrypted. When you click the DECRYPT button, this form shows up. Your file is Decrypted and ready for viewing. You can now encrypt it with your Private Password at your convenience. Runs on 64-bit machine with no problem. 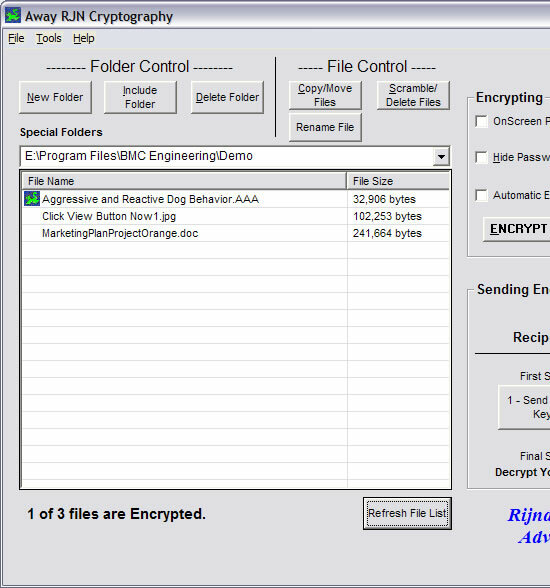 NO EXECUTIVE CAN ACCESS THESE ENCRYPTED FILES!